another win for team hamster! and it’s not even (very) pink. 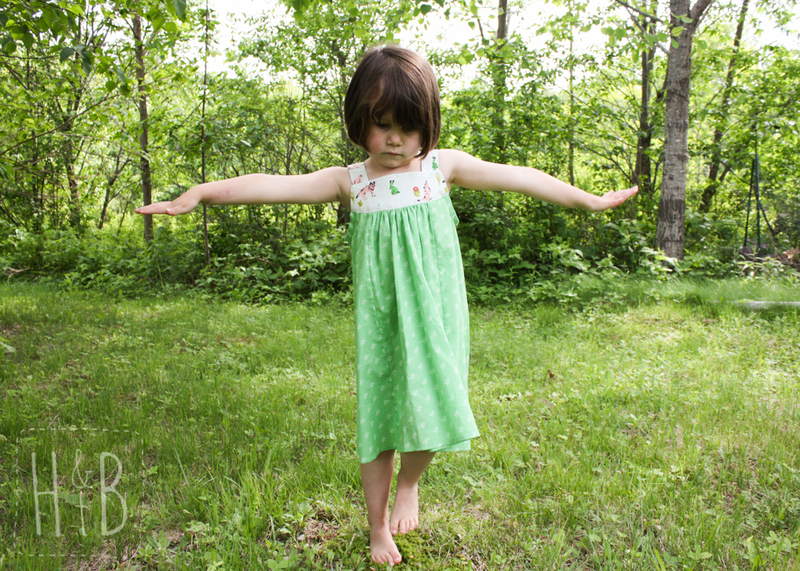 this green voile is so flowy and soft. i’m absolutely in love with this coyote fabric! i think it would make an amazing shirt. for me. this is the narita dress by hey june. it’s a great pattern: very easy to follow and sews up pretty quickly. i used french seams to piece the panels and the side seams. i was pretty pleased with myself. so summery! 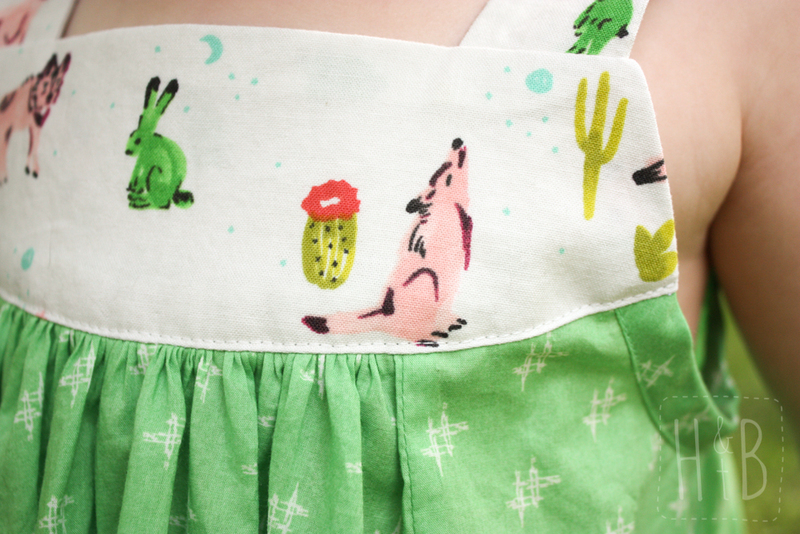 it’s finally warm enough for sleeveless dresses and this one is crushing it. 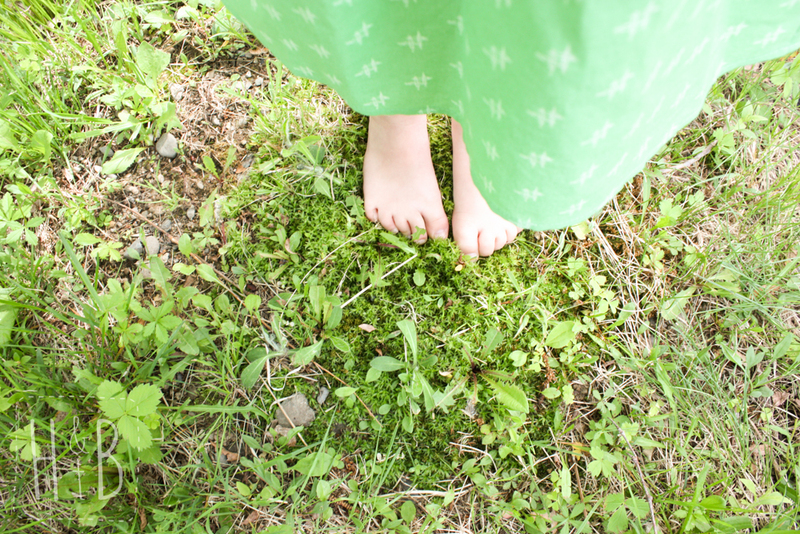 and the greens in these images have me over the moon; green is my favorite color, and since making this dress, the bee’s coming around on it as well. yippee! Very nice dress, the fabric combination is great! 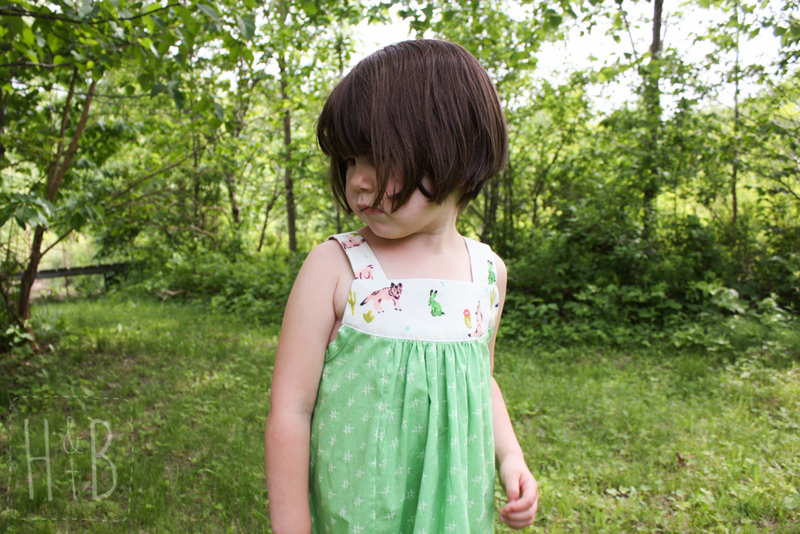 Those fabrics are adorable and they make an adorable dress!